Experts too have decried the practice of burning crop stubble in the states of Haryana, Punjab, Rajasthan and Uttar Pradesh which lead to Delhi-NCR transforming into a gas chamber. 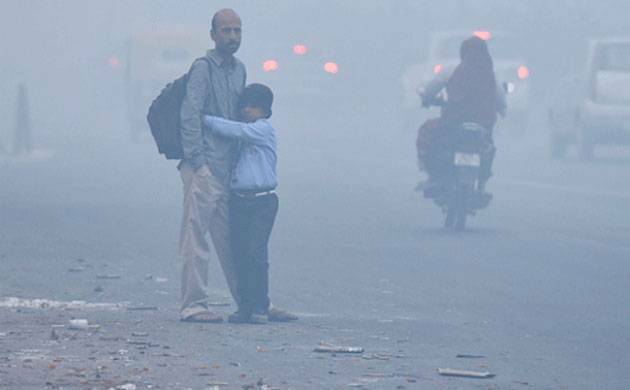 Delhi-NCR’s air quality is once again set to witness drastic fall and the region may witness re-occurrence of a thick blanket of smog by the next week. Air pollution has been a major problem shrouding the region and burning of crop-stubble in northern India after cutting the Rabi crops enhances the problem. Experts too have decried the practice of burning crop stubble in the states of Haryana, Punjab, Rajasthan and Uttar Pradesh which lead to Delhi-NCR transforming into a gas chamber. The Delhi High court too had expressed concern over the health hazards posed by this practice and sought a response in 2016 by governments of UP, Haryana and Punjab about their action plan to stop the practice. As far as the state governments were concerned, they claimed that although they were trying their best to address the issue, some farmers are not ready to leave the practice. The bench had further cautioned the chief secretaries of the four states that they will be held responsible if the practice was not put to a stop. The National Green Tribunal and the Delhi high court have repeatedly directed authorities to prevent burning of crop stubble. Delhi Chief Minister Arvind Kejriwal, too has blamed the burning of stubble in agricultural fields for being responsible for the city’s deteriorating air quality. Although this practice is illegal, state governments have been unable to stop it and thus Delhi is set to resemble a gas chamber once again. However, if this problem is not adhered to, severe health repercussions will follow it.